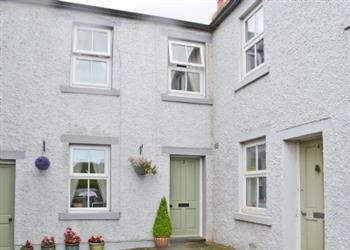 Blackberry Cottage in Abbeytown, near Wigton sleeps 2 people. Blackberry Cottage near Wigton is located within a private courtyard of similar style terraced properties near the centre of the village of Abbeytown. Blackberry Cottage near Wigton is a part of a former stables that has been cleverly converted into contemporary cottages. 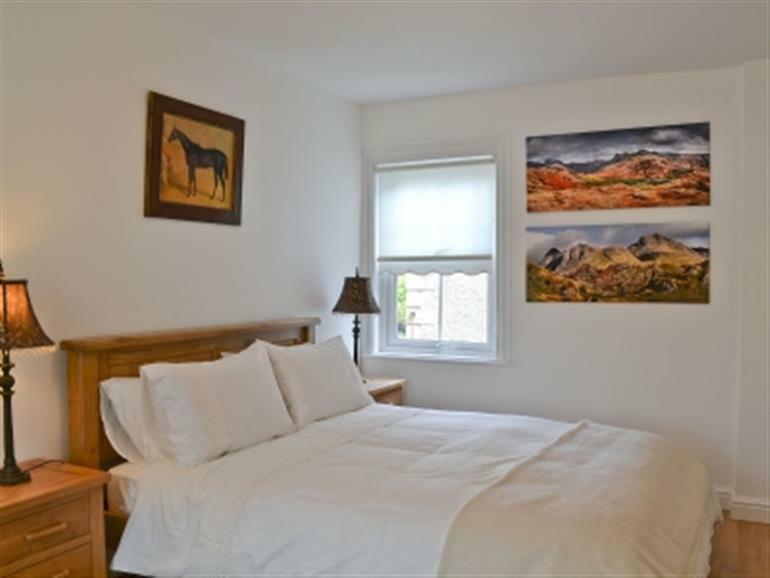 Furnished to a very good standard, this holiday cottage provides a cosy base for your explorations. A sun trap of a garden and a multi-fuel burner mean that you can make the most of the property no matter what the weather. It benefits from being 100 yards from the local shop and village pub whilst only 5 miles from Silloth and the Solway Coast, 6 miles to the market town of Wigton, and approximately 18 miles to the border city of Carlisle. Good transport links also make it a good base from which to explore the Lake District National Park, Hadrian’s Wall and the Scottish Borders. Abbeytown is ideally situated for those with an interest in birds and nature as it is in an Area of Outstanding Natural Beauty and is located near several nature reserves, a Marine Conservation Zone and a World Heritage Site. The Solway Coast contains many locally, nationally and internationally important features including the second largest area of lowland raised mire or ‘bog’ in England. The RSPB opened the Solway Wetlands Centre in Autumn 2013 to make the most of this fragile but important habitat. From archaeological digs to hedge laying training, there is always something to get involved with in the area. Abbeytown itself is home to the 12th-century Holme Cultram Abbey, built by Cistercian monks from Melrose Abbey. Since then restoration work has been underway and is nearly complete. Once again this beautiful Abbey is open to the public but now with a new exhibition and tea room. For the keen golfer, Silloth Links golf course is possibly one of the best golf courses in Britain that is mostly clad in mature dune flora and ideal for presenting the great challenge of links golf. For those who enjoy cycling, the Hadrian’s Long Distance Cycleway provides 26 miles of traffic-free cycling from Allonby to Whitehaven. The beach is 5 miles; with the shop, pub and restaurant all 100 yards from Blackberry Cottage. Ground floor: Living room with wooden floor. Kitchen with tiled floor. First floor: 1 double (5ft) bedroom with wooden floor. Bathroom with shower over bath and toilet. Multi-fuel burner in living room (initial fuel included). Electric heaters, electricity, bed linen and towels included. Freeview TV. Electric cooker. Microwave. Washing machine. Freezer. Small enclosed lawned garden with patio and furniture. Parking (1 car). Welcome pack. Pet free of charge at Blackberry Cottage near Wigton. No smoking. Holidays at Blackberry Cottage run from Saturday to Saturday. For a better idea of where Blackberry Cottage is, you can see Blackberry Cottage on the map below. Blackberry Cottage is in Cumbria; should you be on the lookout for a special offer, you can find all the special offers in Cumbria. It's always worth checking to see what is on offer at the moment. Do you want to holiday near Blackberry Cottage (30170), you can see other cottages within 25 miles of Blackberry Cottage; have a look to find your perfect holiday location.